So how can you feel at home selling to this vertical market? Real estate professionals know the power of promotion so they will looking for unique, creative and memorable items that are also useful for them and their clients. To help you get started, BIC Graphic NA has identified some opportunities for promo success in the Real Estate industry. A study from the National Association of Realtors found that over 50% of agents use their e-mail, mobile device, computer or GPS daily or nearly every day. 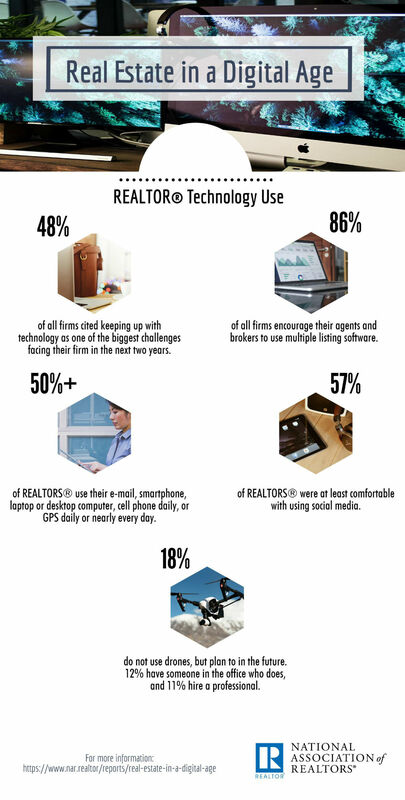 Add in mortgage brokers, property managers, title companies and developers and it is easy to see this industry relies heavily on mobile technology. #15932 KAPSTON® Pierce Tote-Pack – Enough space for all your mobile office necessities in the convenience of a tote and backpack all-in-one! The sleek KAPSTON™ design has a zippered main compartment with laptop sleeve, front slip pocket with PU closure, side water bottle pocket and adjustable padded shoulder straps with PU closure to secure in place. #31980 myCharge® HubMini – This 300mAh portable charger provides up to 22 hours of power. With integrated charging cables the ultra-compact HubMini is a great option for powering two devices at once anytime, anywhere. #32254 Cedar Wood Phone Case X – This real wood phone case is compatible with the iPhone® X and crafted with sustainably sourced cedar veneer by Woodchuck USA. The fully protective case has a flexible rubber rim on the face and the laser engrave imprint adds a sophisticated touch on the natural wood grain. #AP4000 e-Mini Color Curve – A great solution for meetings and presentations on-the-go! This zippered padfolio has removable elastic corners to secure an iPad Mini™ or smaller tablets, a 5” x 8” writing pad, interior pocket and pen loop. #32120 Sol Republic Amps Air – Truly wirelessly and elegantly designed earbuds to provide superior sound quality while taking calls or listening to music. The travel case will charge earbuds over 15 times before needing recharged, with up to 3 hours of play/talk time per charge. There are steps that real estate professionals can take, and promotional items that can help them stay safe while on the job. Local and state associations, brokerages and agencies can promote safety by providing practical emergency tools, flashlights and kits – especially leading up Realtor Safety Month in September. #21102 Roadside Safety Light – A safety flashlight with white LEDs for perimeter lighting and red LEDS for emergency lighting. The magnetic bottom can attach to a car or other metal surfaces for hands-free use. #21214 3-in-1 COB Emergency Tool – Keep this multi-function tool in the glovebox for emergency purposes while on the road. Includes a seat belt cutter, glass breaker and COB light with magnet on the back. #21223 3-in-1 Car Charger with Emergency Tools – One device to charge mobile devices and help you get out of harm’s way in emergency situations. Includes 2 USB ports, seat belt cutter and glass breaker tool hidden in the charger’s tip. #21162 Auto Phone Holder – A necessity for staying safe on the road in a mobile-driven industry, this holder has an expandable, spring-loaded clamp that holds most smart phones including cases. Fits on almost any vehicle vent for hands-free calling and navigation. #21152 Glove Box Auto Kit – Be smart and be prepared! This kit is small enough to fit in a glove box and includes a plastic keylight, mini tire pressure gauge, first aid guide, antiseptic towels, bandages and a distress flag. Few professionals know the value of brand promotion more than those in the real estate industry. Pros know that conveying a professional image is what gets them in the door with new clients, and that is just as important as market knowledge and customer service. Recommend high-quality, useful and unique items that help people stand out in a competitive field while projecting the right image. #30357 House Clip – Magnet clips are always a popular promo, and this one is perfectly designed for real estate industry giveaways. Imprint your brand message on this house-shaped clip that is practical and useful for home or the office. #45359 Stainless Deal Tumbler – Priced to please, this double wall stainless steel travel tumbler will keep your beverage hot or cold in style. Includes a screw-on, leak-resistant slider lid. #21052 House Keychain – A unique zinc alloy keychain with house-shaped cutout that reveals a blue, red or black strap above your laser engraved logo or brand message. #55732 Dart Color Pen – A cost-effective plunger action retractable available with blue or black ink. Available in an array of colors to match corporate branding with white accents and up to 6 color screen print imprint. #MGCLL20 BIC® 20 Mil Calendar Magnet – A house shape calendar magnet makes for a memorable promo that will last a full 12 months. This flexible magnet prominently displays your brand for a full year at home, school or the office. Showing gratitude to clients with a gift is a traditional way many real estate professionals end transactions. These gifts are a great way to commemorate a happy occasion and leave a lasting impression that can lead to reconnecting the next time clients want to buy or sell property. For maximum impact, suggest creative and practical gifts so clients will remember their real estate pro and hopefully recommend them to others. #32116 House of Marley™ Get Together™ Bluetooth® Speaker – A high-end portable speaker system that connects wirelessly to phone, audio devices and computers. The sustainable bamboo panels, built-in rechargeable battery, Bluetooth® and convenient 3.55mm input make it a useful and beautiful gift. #36581 Personal Espresso Set – This elegant set is great to wake up to in the morning! Includes a stainless steel and glass French press with two laser engraved stainless steel mugs. #20335 House Tag Keyholder – A fun giveaway or gift item for the real estate industry, with a high-quality look at an affordable price. Includes a keyring with shiny, stainless steel house shaped tag and oval tag with laser engraved imprint. #46097 KOOZIE® Champagne Bottle Kooler – This KOOZIE® kooler fits most 750ml champagne bottles to keep it colder longer. The high quality wetsuit-like material is complimented by a champagne colored zipper pull with snap closure at the top. Makes a great (branded) addition for closing gifts and contract signings. #41052 HoMedics® Portable Sound Spa – Help clients create a peaceful sleep environment in their new home with this convenient sound spa. Includes four soothing and rhythmic sound settings; white noise, summer night, ocean waves and rain. View more great products targeted to the Real Estate industry at bicgraphic.com.